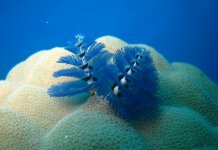 Home Photography Photo What’s a Red Sea photo workshop really like? My usual blog is blog is designed to give fellow photographers tips on how to photograph specific subjects, but this time I’m deviating a bit to describe a what goes on one of my Red Sea photo workshops. Who are photo workshops for? The long answer? It’s not about needing to have “all the gear” or thousands of dives. I’ve used just about every camera on the market and the quality of your images has much more to do with how well you know your camera than how much you have spent. That’s my job. To make sure you know what to do where you need it most… underwater. Just because more and more of us take cameras underwater, from the tiniest compact to big, chunky rigs, doesn’t mean that the pictures necessarily get any better. Most people that come on my trips have played about a bit with their camera, either on land or underwater, but haven’t really worked out how to consistently take good pics. These are divers at the early part of their journey through underwater photography. There are some key fundamentals to learn about the art of taking a shot underwater. A week on a boat learning these key skills really makes a difference. My workshops are about getting you off to a flying start! So how do they run? 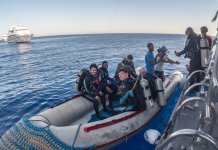 A typical workshop starts much like any other Red Sea liveaboard. 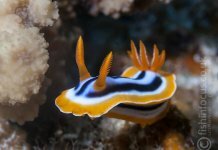 I had the pleasure of running a trip this June to the Northern Red Sea. After meeting everyone at Gatwick, we boarded our plane and headed to Hurghada, expectations were high and everyone was very excited. Upon landing, we were greeted by the Scuba Travel rep who arranged our visas.Bag collected and a short bus ride after we were boarding Mistral, our new home for a week. The crew and guides welcomed us on board and after listening to the welcome briefing and completing the relevant paperwork we set up our gear, unpacked our bags and sat down for a nice meal. So far, so familiar. But this is a photo week. There’s another element we need to think about. The cameras. Onboard there was a huge range of cameras, from high-end mirrorless rigs to small GoPros, almost everyone on the trip was caring some sort of camera and seeing the improvements everyone made during the week was incredibly rewarding for me as a teacher…. Remember: everyone is welcome! I always recommend not to set your camera kit the night of arrival. Tiredness can lead to mistakes that can prove fatal for your cherished camera, so next morning, while we waited for the permission by the marina authorities to sail, we set up our rigs. The call of the Red Sea! 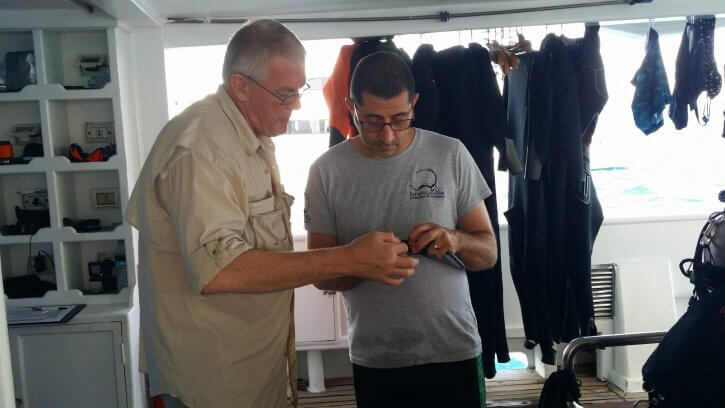 Behind the scenes I’m talking to the captain and dive guides about the all important site selection. 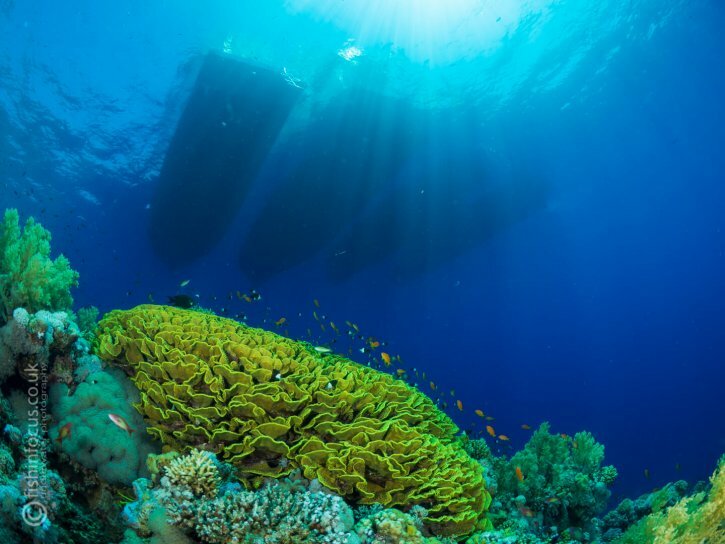 The many years I spent as a Red Sea liveaboard guide are invaluable here. I know the crews and together, we map out the best sites for that specific time of year. Check dives are most of the time a bit hit and miss, the idea is to get in the water, sort out your buoyancy and get reacquainted with your dive mind-set. On the Northern Red Sea trips, this is not the case. Sha’ab El Erg (which translates roughly Reef of the Pinnacle) is a superb easy dive and often will grant fascinating encounters with a resident pod of dolphins. We were not disappointed and these gorgeous creatures showed up the moment we hit the water. The workshop had started with a bang. The barge in Gubal Island was our next stop. This is one of my favourites dive sites in the area, the wreck itself is very small and it has almost collapsed but it still attracts a huge range of marine is always fascinating. A quick explanation of the difference photo opportunities helped everyone to choose the set up to use and soon we were jumping again, schools of squirrel fish, swam next to the wreck walls while damselfish fiercely guarded their eggs. Scorpion and crocodile fish are regulars and always great subjects to shoot. 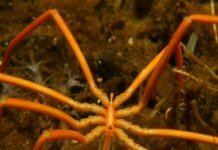 After each dive, I have the chance to review some of the shots taken by the group and offer advice. This can be on a 1:1 basis or in small groups . It’s all fairly relaxed and informal. After dinner, there’s short presentation, starting with composition to everyone in the right mood to tackle the following 5 days of diving and photographing. Soon we all settle into a nice routine, combining great dives, fabulous food and photo geekery. Dive, breakfast, review, dive lunch, review (maybe a post lunch snooze if you are lucky), dive, snack, review, dive, dinner, presentation. You can do as much or as little as you like! But it’s my job to be on hand to answer any question – from setting your kit to taking a particular photo and editing it afterwards. The presentations gradually build to cover all aspects of photography, including ambient and strobe lighting. As we get towards the end of the trip, the last couple of presentations are based around photo editing. On this trip, some people kindly gave me some of their pictures and as a group, we work through their strengths and weaknesses, showing everyone different ways to improve the images in post production. And I’m even on hand underwater to help out with some real time assistance! Where to point your strobe? Which setting is best? 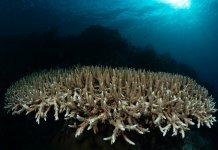 Let’s put the theory into practice underwater! 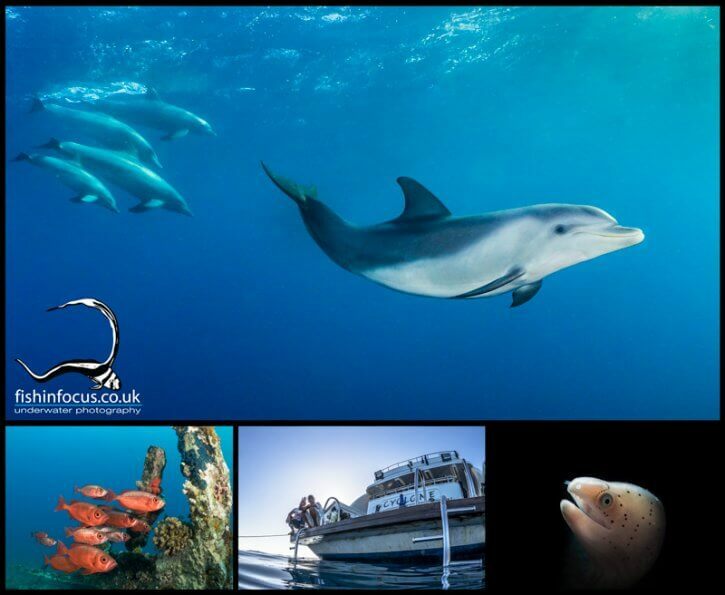 This is a key difference to your standard Red Sea itinerary. 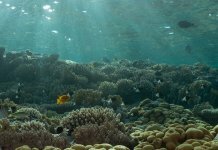 Without a doubt, the Red Sea is one of the great destinations for underwater photographers, incredible marine life, astonishing reefs and a super range of wrecks makes offer everything we want and much more. But it can easily get overwhelming for a photographer. It’s not just this range of subjects that makes a workshop really work, but also the chance to repeat sites, go back in, work the angles and techniques. Photography takes a pinch of patience. And that’s why we visit fewer sites for maximum opportunity. 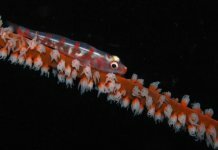 After a morning dive at the barge – our chance to try a different approach to the morays and cardinal fish here – we changed set up on cameras, from macro to wide angle or vice-versa, and we headed to the Thistlegorm were we did 4 dives. Plenty of opportunities to explore the wreck and its cargo and experiment with different approaches to pictures. Photographing the Thistlegorm requires the use of different techniques, the stern decks and bow call for good ambient light handling while the cargo hold requires a good understanding of wide angle lighting. 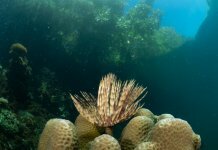 For this reasons, before every dive I spent some time discussing the different ways to approach each dive and the best techniques. The famous Shark and Jolanda was our next stop, a fast drift along the soft coral covered wall of Shark Reef we spent a good amount of time photographing the corals on Jolanda which were as luxurious as always. 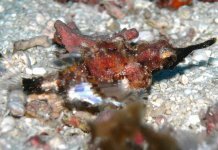 Some even manage to spot a gorgeous purple stonefish. 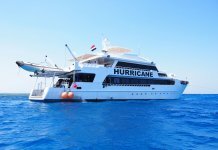 The next couple of days we visited the reefs of Tiran, Gordon, Thomas, and Jackson were our stops and we did have some amazing dives spotting a turtle, a whitetip and a beautiful eagle ray. These reefs are gorgeous and a good use of your strobes will help to bring all the vibrant colors alive in your photos so instead of gathering in the saloon to look at a screen, a group session on the sundeck design for everyone to see the different strobe positions and angles to get the best possible results. We also visited Stingray Station and the Crisoula K wreck before heading back to Shab El Erg for our last dive of the week. The week just flies by! The next morning the Scuba Travel Rep picked us up from the boat to take us to the Hilton Hotel where we enjoyed the last of the Egyptian sunshine before our transfer to the airport. For all of you on my last Mistral trip: it was a gorgeous week with a fantastic bunch of divers and photographers. Thank you guys for making it possible and hope to see you on one of my future workshops.